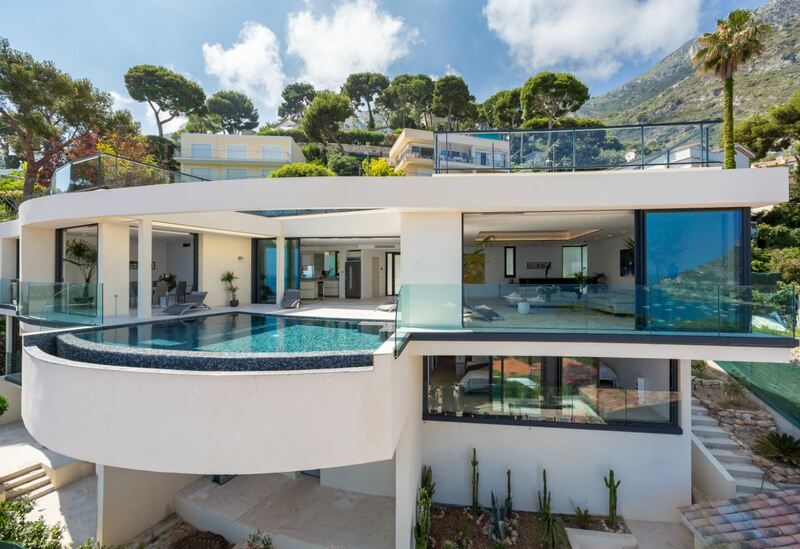 This absolutely beautiful villa overlooks the bay of Eze and is nestled in a quiet and residential area. 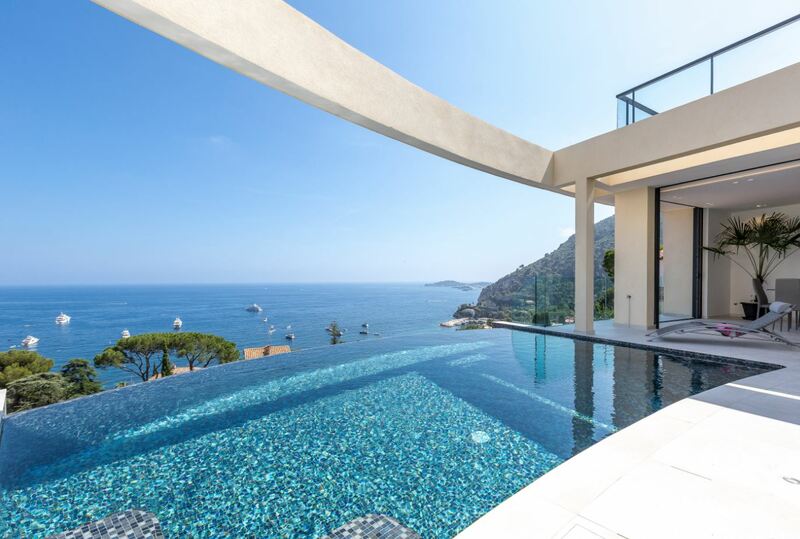 Situated just above the sea, the property boasts panoramic views with an infinity swimming pool that seemingly melts into the horizon. The villa is a mere 7 minutes walk to the glorious beaches. 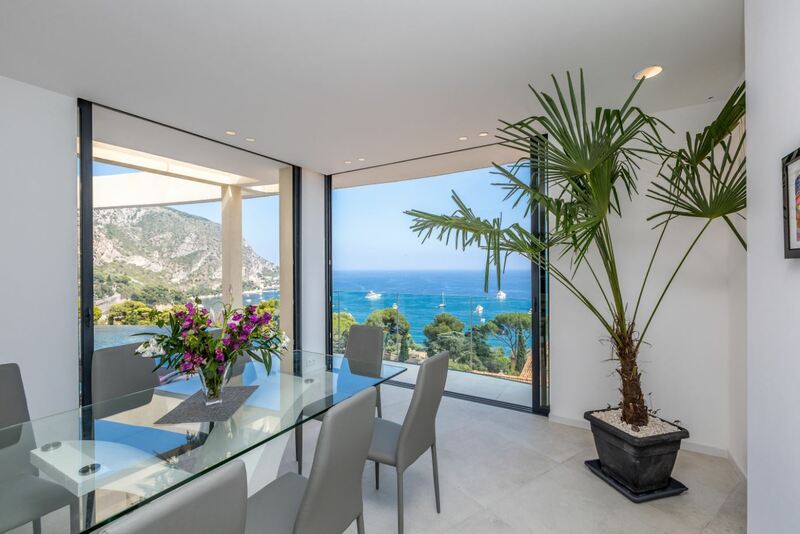 Comprising of a spacious open plan living area accompanied by a modern and fully equipped kitchen, the property is a fantastic base for any French Riviera retreat. 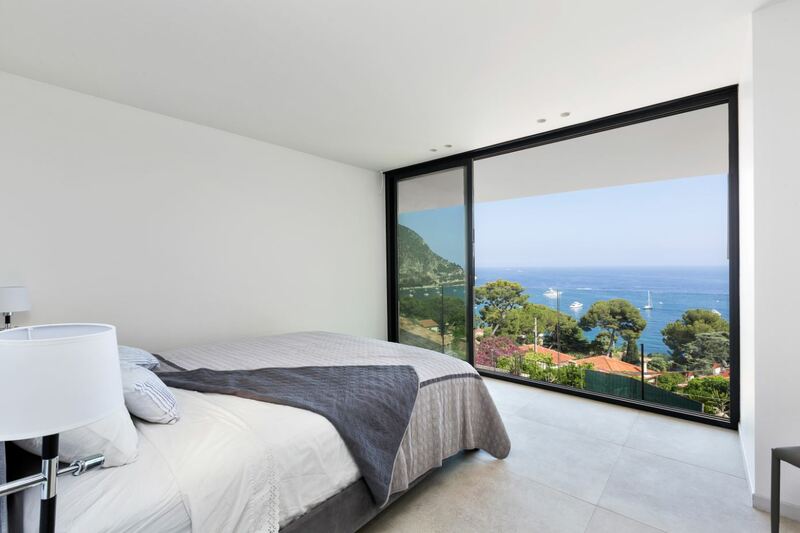 Each room benefits from the magnificent sea views and interiors are bright, airy and of a contemporary and high quality style. A stunning large terrace opens from the kitchen, allowing guests to indulge in al fresco dining and entertaining in the most idyllic of settings. 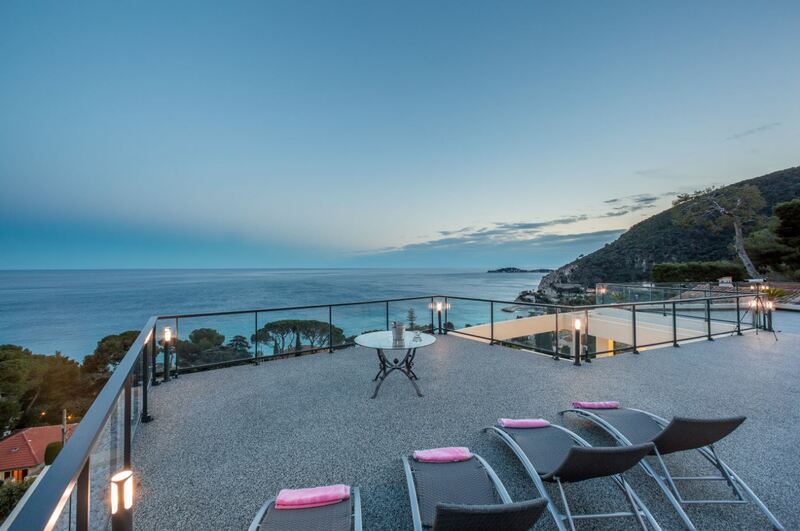 This beautiful villa overlooks the bay of Eze, nestled in a beautiful quiet residential area. 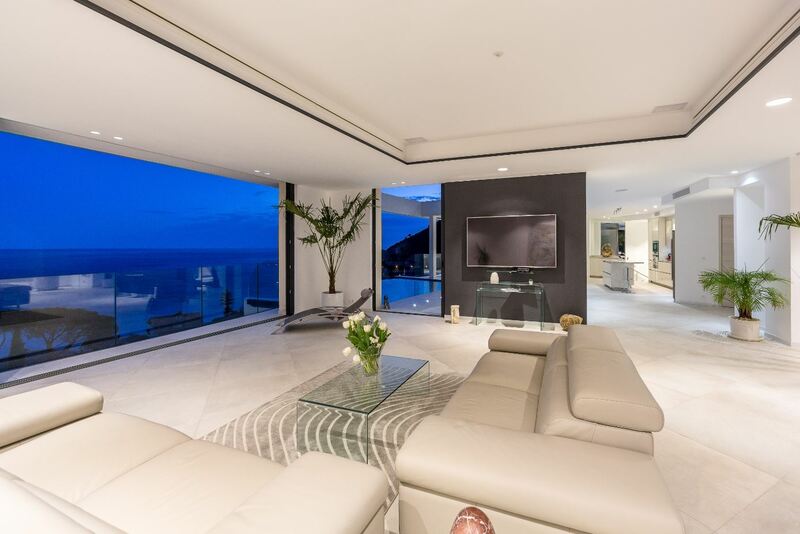 Situated above the sea, the property boasts 180° views. 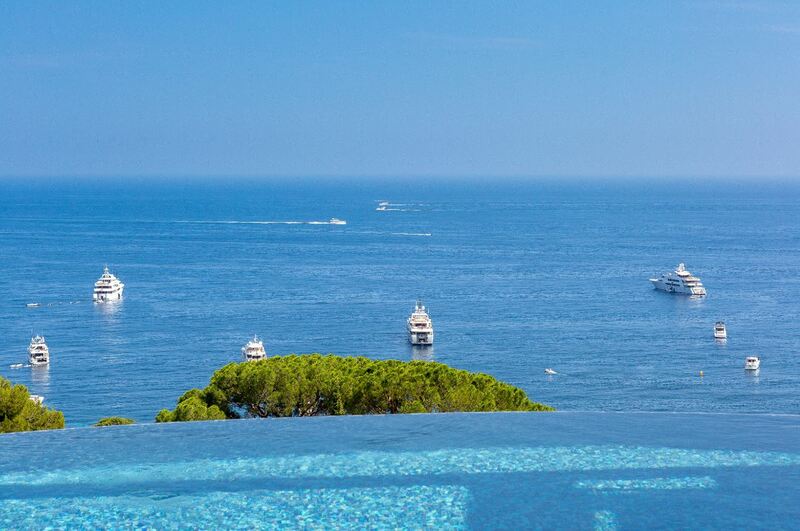 The villa has an infinity pool and is only a 7 minute walk to the beach. The property contains a large open plan living area with modern fully equipped kitchen that opens onto the stunning terrace. An option of an additional studio with a double bed, kitchen and shower room can be made available as well as an apartment of 3 bedrooms & 2 bathrooms.